Empowering young people in our community to reach their full potential. 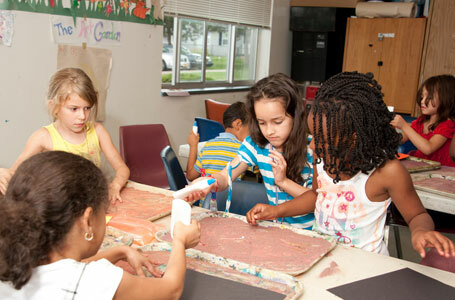 This year-round program encourages artistic expression among Club members ages 6-18 through drawing, painting, printmaking, collage, mixed media and sculpture displayed at local and regional exhibits. A panel of distinguished judges selects works of inclusion in the National Fine Arts Exhibit, which is displayed throughout the ensuing year at BGCA events, including the annual National Conference. Each winning artist’s work is featured in a virtual gallery on BGCA’s Web sites. This year-round program encourages Club members ages 6-18 to learn and practice black-and-white, color, digital and alternative process photography. ImageMakers has three components: the ImageMakers National Photography Program Resource Guide full of fun, creative activity ideas for three skill levels; a website (www.imagemakersbgca.org) featuring resource tools and fun interactive games; and an annual photography contest that provides local, regional and national recognition. Club members’ photographs selected at the contest’s national level are exhibited at the BGCA National Conference and at other events and venues. The national winners are featured at BGCA’s National Conference each year, and online through the ImageMakers Virtual Gallery.